The Focus is on Writing! TWO SPOTS LEFT as of September 20, 2017! Did you blink and realize that you missed summer? Did you spend your whole summer catering to your kids and friends and forgot to make some time for yourself? Do you want one last gasp at writing in a nature setting before winter hits? 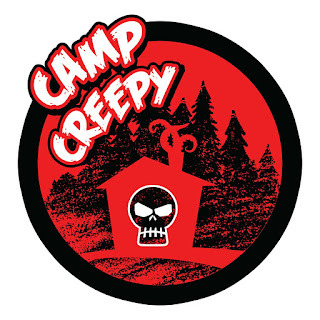 Peaceful, quiet, and in the woods by a lake, Camp Creepy is Canada's newest horror writers retreat! Come to camp to work on your novel or screenplay. Pick the brains of industry experts mass market novelist Sèphera Girón and Rue Morgue editor Monica S. Kuebler all weekend long. We are here for YOU! There are two panels and there will be ghost stories at the lake. The fee of $400 Canadian includes transportation from Toronto (four hours drive each way), meals, workshops, and accommodations. A reduced fee is available if you're arranging your own transportation from wherever you are coming from. Please bring your own booze as it's easier to bring what you enjoy instead of us trying to figure it out! We have THREE spots left so hurry up and make your reservation today! Once these three spots are filled, our doors are shut. When you register, you will be taken to the secret Camp Creepy Facebook group which has the menus, schedules, photographs of the estate, and more. Register today and don't miss out on this amazing experience!